The 2017 year is quickly coming to an end, which means that we need to move all of our 2017 models quickly, allowing you to take advantage of these huge savings. This is the case for our 2017 Winnebago View 24V class C motorhome for sale here at Bullyan RV. 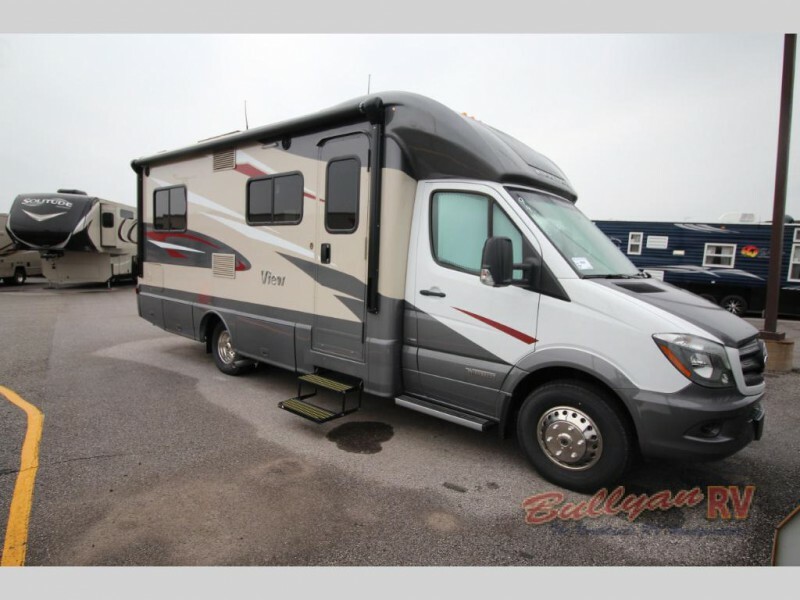 We have been selling these awesome class C motorhomes all year and are down to just one left on our lots; and, with a clearance of almost $30,000 off, you will never find a deal this sweet on an RV of this quality! Want to find out what makes the Winnebago View 24v so special? Our Winnebago View review talks about just what we love about this RV. Check out the Winnebago View. The View has an incredibly optimized floorplan that makes use out of every nook and cranny; this is especially true of the kitchen in the 24v model. With ample storage space, a sizable refrigerator, and enough counter space to work with, the View 24v makes the most out its floorspace by giving you a lovely kitchen, but without taking away floorspace from any of the other areas. All of this and more is greeting you as you walk into the View. More in the Winnebago View Kitchen. Most RVs come with a standard bedroom with a full or queen-sized mattress. 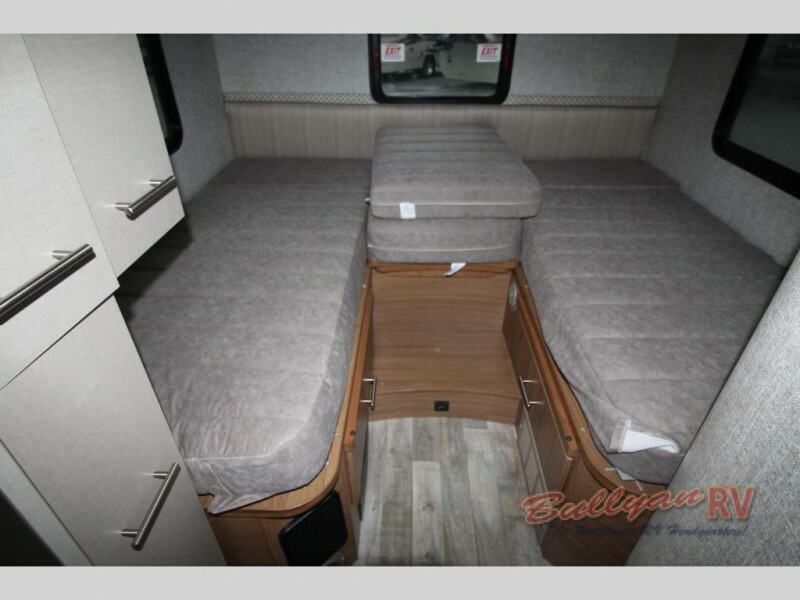 The Winnebago View 24v comes with a pair of twin beds that can turn into a king. This means that, if you are traveling with a larger family or group, getting somewhere for everyone to sleep will be made very easy. Or, if you like a larger bed to sleep on, it can do that as well!The bedroom space also has the option for an additional television, if you like watching RV in bed. So much comfort in an easily manageable space! 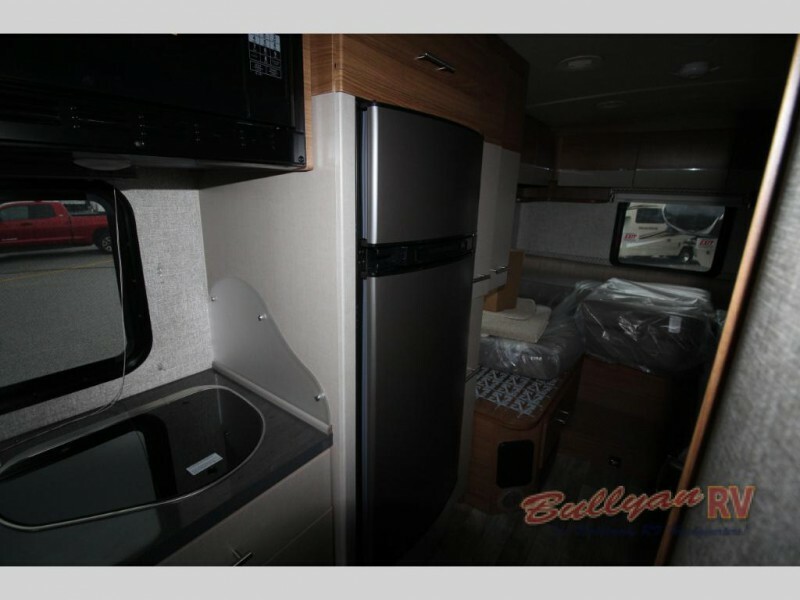 There is a lot to get excited about when it comes to the Winnebago View 24v floorplan, but remember, we only have one of these amazing RVs left in stock; and, based on how they have been selling so far this year, we don’t expect for it to last very long. If you want to jump on the opportunity to get this beauty at a fraction of its MSRP, you can contact us today for more details or to make an offer!